Another brand priority is finding—and appropriately using—the brand’s “voice.” Tone, what the brand comments on or talks about, and whether those align with the brand’s values and audience are all critical to brand reputation and strategy. It’s especially important in our era of politicized everything, where brands are expected to take a stand when appropriate—but also can expect to be harassed, abused and even boycotted when they do step up. But what does a brand do when its leadership puts the brand’s values and reputation in a negative spotlight? When brand leaders behave like they are the brand, “being real” can become a crushing weight. The glare of bad publicity hit Papa John’s Pizza recently, and sadly, it’s not the first time—and seems unlikely to be the last. Papa John’s founder and former CEO John Schnatter has been the company’s spokesperson, the face of the brand, since its beginnings in 1984 beginnings with a single oven in Schnatter’s father’s tavern. The brand enjoyed a steady rise to success and by 2016, Schnatter’s company consisted of 5,000 stores and $1.7 billion in annual revenue, reports Forbes. The company went public in 1993… but the firm and its founder continued to behave like it was private. Schnatter has a history of saying things that reflect badly on his brand and company. Last year, he blamed the company’s association with the NFL for the brand’s declining sales, and in particular the #TakeAKnee protests by players seeking to draw attention to ongoing civil rights issues. Schnatter’s comments were followed within hours by the company’s shares taking an 11% nosedive, and net income fell 40%. Schnatter was asked to step down from his CEO role by his board of directors. Critics pointed out that Papa John’s biggest problem is that they are a not-very-good pizza in a chain-crowded marketplace, and that many customers prefer their local, far superior mom-and-pop pizzerias. This led to taste-tests and reviews that did further PR damage. How’s that for getting real? In July 2018, a conference call recording of Schnatter using the N-word went public. It revived last year’s furor, resulting in multiple sports teams and affiliates dropping their marketing relationships, and compelling the board to require his removal as chairman. Since then, Forbes says, the toxic internal culture at the company has become known, including that the firm made at least two confidential settlements related to sexually inappropriate behaviors and harassment of employees. In addition to spying on workers, Schnatter and his cronies are said to have created a hostile environment for female employees; he was also accused by an outside vendor of harassment and stalking, while some employees suspected his frequent absences involved the married founder’s infidelities. Other company execs followed the founder’s lead. The board of directors—who had suffered their own combative relationship with the founder—has contracted an outside firm to audit the company’s culture, policies and practices, and make recommendations for righting the ship. It seems unlikely that can be done under new CEO Steve Ritchie, Schnatter’s VP and, Forbes reported, witness to and purportedly enabler of the increasingly toxic “bro” culture. Schnatter owns nearly 30% of company shares, and his executive team is still in charge at the firm. The founder was even subleasing office space at company headquarters, and is now braced for a poison pill defense against a possible hostile takeover by shareholders. 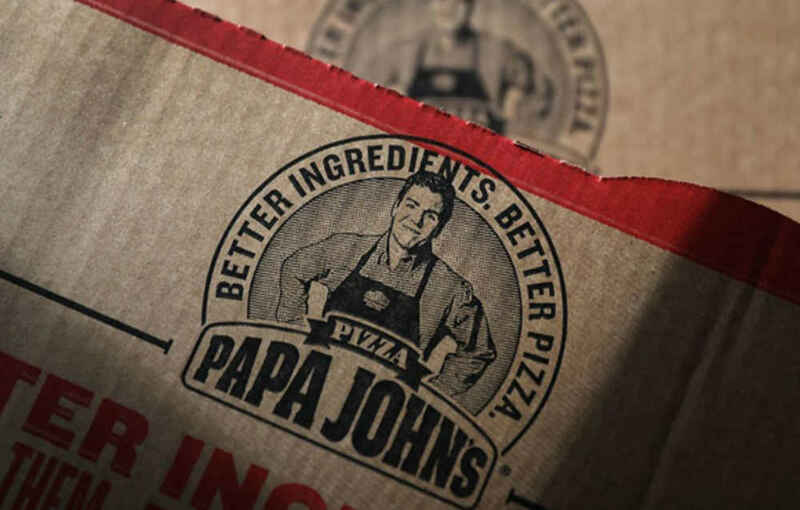 Following this news, Papa John’s shares fell 9.75%. So we don’t expect to see big changes in company management, or the internal culture. The bad actors are still there, and the daily reality for Papa John’s employees is instability and, potentially, payback for speaking out about cultural problems. What is an appropriate strategy for companies or brands that have leaders who think authenticity means they get to behave like the rules do not apply to them? Can branding firms help companies whose leaders are determined to shoot themselves in the feet? Yes, crisis management can be lucrative, but when is it a lost cause? And when should the agency distance itself from the brand and just let it self-destruct? As a warning to agencies that the fallout from brands getting a little too real can easily be spread around, the N-word conference call was a role-playing exercise between John Schnatter and his marketing firm, Laundry Service. In the call, other racist remarks were made by Schnatter that many of the participants found even more offensive than Schnatter’s remark that “Colonel Sanders called blacks n-----s” without public backlash. The agency says it resigned the account; Schnatter claims he fired them, and that they “promoted that kind of vocabulary” in the call. Now he’s claiming Laundry Service tried to “extort” $6 million from him to keep the conference call quiet. He said, they said. Whatever happened, all parties are tainted. Since July 11, reports AdAge, newly hired creative agency Fallon resigned just a month into its relationship with the pizza firm, as did PR agency Olsen Engage; and following the Forbes report, another agency partner, Initiative, changed its mind and resigned the Papa John’s account because of “broader cultural issues that run counter to our own values.” Sounds like a wise move. In early August, the firm hired Endeavor Global Marketing to assume agency duties. The number of CEOs who also are chairmen of their companies’ boards has declined substantially over the past 15 years. Among the world’s 2,500 largest companies, 48% had a single individual in both positions in 2002; by 2016, that number fell to 10%. More critically for brands, trust in CEOs collapsed year-over-year, reported Edelman in their 2017 Trust Barometerreport—just 37% of people considered CEOs credible in 2017, down 12 percent since 2016. And Gallup says U.S. confidence in big business fell to just 18% in 2016. In a low-trust environment, managing CEO-generated crises is not how most boards want to be spending their time. Schnatter, meanwhile, is asserting he should return as Papa John’s spokesperson and brand emblem, basically running a PR campaign against his own brand’s crisis communications strategy. His efforts include filing a lawsuit against his own board of directors for firing him “over a misunderstanding.” Per brand strategist Deb Gabor of Sol Marketing, Schnatter may be too unbelievable as a brand representative to convince the public he was victimized. Certainly his story about the N-word conference call keeps evolving. All of this serves as a cautionary tale for agencies with branding expertise. Be very selective in which companies you work for. Make sure agency-client values are well aligned, and corporate leadership can be trusted to put brand values and reputation ahead of personal opinions and biases. Keep a sharp eye peeled for internal issues that can cause the brand to decline through a loss of inward brand support. Establish clear crisis management protocols, and respond quickly if a crisis develops. Work hard to build trust between the agency and corporate leaders. If, in spite of your efforts, you see the train running wild, be prepared to evacuate. Train wrecks tend to do indiscriminate damage, and conductors can’t do much if the engineers steer off-track. Even the best brand management cannot prevent brand derailment by self-sabotage.